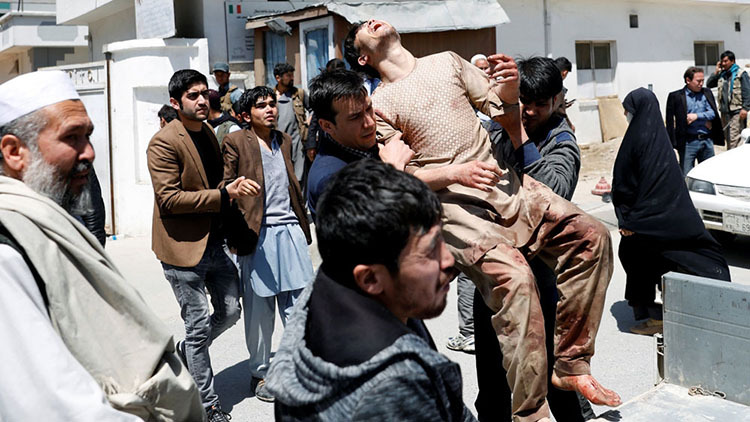 Bombings at voter registration centres in the Afghan capital, Kabul, and in Baghlan province have killed at least 63 people and wounded more than a hundred others, health officials said. 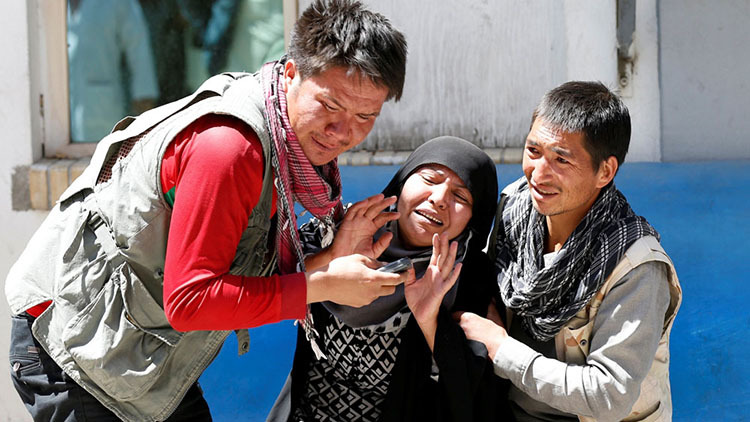 At least 57 people were killed in Kabul when a suicide bomber detonated his explosives at the doorway of an ID distribution centre in the city on Sunday, officials said. Six more people were killed later in the day in Baghlan's Pul-e-Khumri city, when their vehicle struck a roadside bomb near another voting centre. All six were from the same family. The Islamic State of Iraq and the Levant (ISIL, also known as ISIS) group said it carried out the Kabul attack, but no group has claimed responsibility for the Baghlan blast yet. The Kabul bombing occured in the Dasht-e-Barchi area, where many of the country's Shia Hazara minority reside. Among the victims were many women and children, witnesses said. "After I heard a bang, I rushed to the site of the blast and, when I arrived at the scene, we helped many wounded people by carrying them to hospital," Bashir Ahmad, a witness, said. "Many of the victims were women and children who were here to get their identity cards and register for elections," Ahmad added. 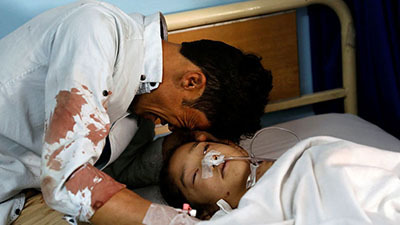 Wahid Majro, spokesman for the public health ministry, said five small children and 21 women were killed in the attack. The toll could still rise, he told the Associated Press news agency. In a separate development on Sunday, a traffic incident reportedly involving a convoy of foreign forces killed a child near the US embassy in Kabul, prompting protests in the area. Witnesses reported heavy gunfire near the embassy. Attacks have multiplied in recent days in advance of the long-delayed parliamentary and district council elections scheduled for October 20 this year. 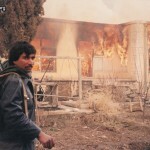 Last week, a voter registration centre was attacked in Ghor province, according to Tolonews, a local news website. In that attack, unidentified gunmen, which a police spokesperson said belonged to the Taliban, kidnapped two police officers on site as well as three IEC workers. Al Jazeera's Abdullah Shahood, reporting from Kabul, said there was uncertainty about the government's ability to secure the polls. "Elections are scheduled to be held in many areas that are under Taliban control. There is no chance that free polls could be held there, even as the government says it is trying to implement law and order there to allow people to vote and exercise their constitutional right," Shahood said. Voter registration offices opened just last week as part of the long process to get Afghans properly registered for the October polls. The Independent Election Commission (IEC) says it hopes as many as 15 million people will register for the polls, but the election commissioner admits registration turnout so far has been low. President Ashraf Ghani issued a statement condemning the attack and said it "cannot divert us from our aims or weaken this national democratic process". Tadamichi Yamamoto, the UN's top official in the country, condemned the attack, saying he "feels a deep sense of revulsion". "Compounding the callous disregard for the lives of civilians, the killing appears to be part of a wholly unacceptable effort by extremists to deter Afghan citizens from carrying out their constitutional right to take part in elections," he said in a statement. Kabul Municipality officials on Tuesday said that 70 percent of high-rise buildings in the capital were illegally constructed, blaming the relevant authorities for failing to take action in this regard.